The University of California Student Association (UCSA) passed the “Resolution Calling for the Regents to Divest from Corporations Violating Palestinian Human Rights” on Feb. 8 by a vote of 9-1-5. Only executive vice presidents from UC student governments (including graduate student governments) were permitted to vote on the resolution. The resolution calls for the University of California to stop investing in corporations — such as Boeing, Caterpillar and Hewlett-Packard — for their role in selling goods used in alleged human rights violations by the Israeli government. The vote required two-thirds approval; abstentions were counted neither toward nor against the votes. Vice President of External Affairs Abraham Galvan, UCR’s student representative at the meeting, voted in favor of the resolution. Six UC student governments have successfully passed similar resolutions in recent years, including ASUCR, whose resolution passed by a single vote last April among widespread support from the audience. Galvan explained that that the passage of last year’s resolution and the large audience turnout from pro-divestment advocates during the vote were the reasons why he supported UCSA’s resolution. “If there were more students that opposed divestment, I think it would have shown,” Galvan said. Benjamin Brown, a third-year creative writing and political science major and program coordinator at Hillel, a nationwide Jewish cultural organization, said that while the organization does not condemn the resolution, he does. “Students for Justice in Palestine (SJP) has been very successful in creating a narrative against Israel in order to create a negative perception of the state under the blanket of civil rights,” Brown stated. 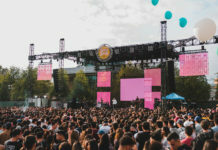 SJP was one of the major student organizations that drafted the UCR and UCSA divestment proposals and to gain support for it across the UC system. Brown attributes the widespread support of divestment by UC student governments to their organization strategy and funding. 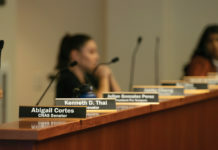 “They were very well organized and funded which allowed them to gain support across the state; unfortunately many student organizations against divestment were not as organized and it showed at the final divestment meeting,” Brown explained. Both Galvan and Brown, however, agree that it is unlikely that the resolution will affect the UC system’s stance on divestment. “The votes are purely symbolic and won’t cause the UC to change their stance,” Brown said. “I would like them to take this vote into account but the UC has already made their stance pretty clear in regards to this issue,” Galvan explained. The UC has stated that they will not divest from companies unless the United States government declares that a foreign government is committing genocide. 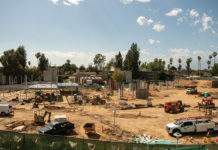 According to UCOP Media Specialist Shelly Meron, this stance has not changed since May 2010. The release explained that the UC Board of Regents felt that Israel was being unfairly targeted as the sole focus of UC student governments’ divestment debates. However, another resolution was passed by 9-1-6 at the same UCSA meeting which called for divestment from corporations that do business with the governments of Brazil, Egypt, Indonesia, Mexico, Russia, Turkey, Sri Lanka and the United States, who have also come under fire in the past year for alleged human rights violations.